Movies are very intersecting. The special effects that you see nowadays are mind blowing. Not only that, movies create a certain kind of feeling perceptions in our mind. U.S.A is very much over rated among the youth, you know why? Because of Hollywood’s slick and smooth depiction of the Americans, their ways, immoral living mentality and thinking that they are very nice people and all others are bad. Not only that a nation that can’t even win a war single handedly is being depicted as a super power. Sure, they have the technology, capabilities and a nice environment. But Hollywood has a multiplier effect on everything. When I first came to Alaska, my wife and I lived in this crummy old trailer with no electricity. We heated with a wood stove, and used propane for cooking and illumination. Two big propane tanks were outside, but we used a five-gallon tank in the tiny living room (the trailer was only 8 feet wide) with a gadget up top with a mantle. He accidentally configured fittings of the burner(I think), resulting in a leak of propane. I opened the valve, propane flooded the area. When it got to the pilot light on the stove, it f*****g exploded. WhOOMP! It blew out one of the kitchen windows and set fire to a bunch of stuff in the living room. But he managed to escape without any major injuries. Then he tells about what it is like to see a Propane explosion. And that’s the reason I told you first. Sorry for being so twisting to tell a silly thing like this. Hollywood in not real, we are being told this since we are children. But why the hell are we still thinking stuff like this are real? 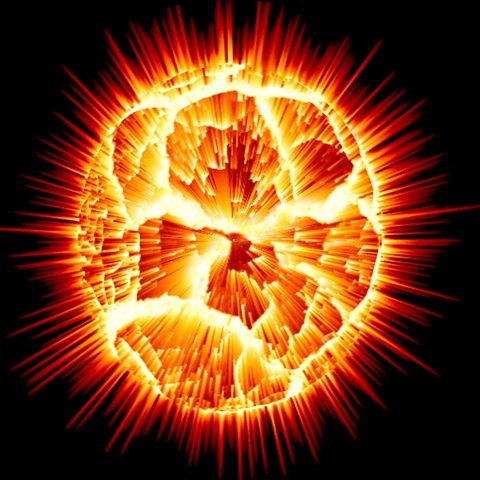 BTW, that movie stuff–shoot a propane tank and it explodes–just doesn’t happen. They even get the color of the flames wrong–propane burns blue. Shoot a propane tank and it just leaks. The gas has to be confined in order for it to actually explode, and as explosions go, it isn’t that much of a big deal. propane tanks do explode when shot at…as long as they are filled up with propane. the friction of the air moving so fast ignites it. ive shot propane tanks. 3 of them actually. Small ones for grills. The first time i done it i wasnted to see what would happen “from a distance of course” shot it with a .306 from about 75 yards. put a nice hole in it but thats it. when i got closer i noticed the tank was frosted over. the other 2 i shot was just to show people they dont blow up. The propane tank freezing over makes sense. Propane in tanks is in liquid phase and can be in this phase because it is pressurized. When exposed to the atmosphere, a much lower pressure, propane is a gas. To transform from a liquid to a gas the propane needs energy which it takes from its surroundings. This transfer of energy freezes the water in the air leaving frost on your blown propane tank. The only way I think a propane tank would blow up is if you used steel bullets which would cause a spark when they pierce the tank.